Everybody loves a great hotel. And we all love that moment of discovery: walking into an elegant lobby or stepping into our luxurious room with a view out the window that reminds us we're somewhere special--whether it's a sweeping seascape or a snowcapped mountain peak. I've been fortunate to stay at some truly amazing hotels while leading trips for Backroads in North America, and here are six that stand out. What happens when you juxtapose the striking red rock of dry Southern Utah with blooming native gardens and lush grass? 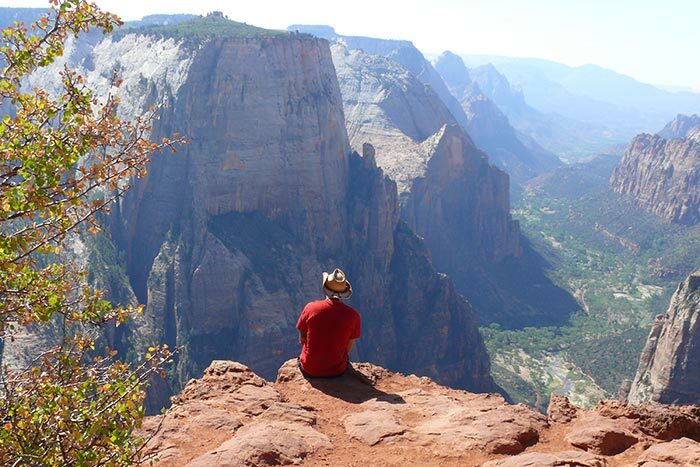 You find yourself in your own desert retreat in Zion National Park at the Desert Pearl Inn. After a day spent exploring towering canyons and the picture-perfect precipices of Angels Landing, return to your oasis and take a refreshing dip in the tree-lined Virgin River, which runs right through the backyard of the hotel. Stay here on our Bryce & Zion Walking & Hiking Tour. Have you ever been to a place so remote that you don't even know where the nearest town is, or in what direction? Enter Denali Backcountry Lodge, located in the farthest part of Alaska's Denali National Park accessible to visitors. Getting to the Denali Backcountry Lodge is a journey itself, one that only one percent of the park's visitors ever experience. A scenic six-hour shuttle ride from the edge of the park and into its heart allows for wildlife sightings of all kinds, and even a view of the majestic Mount Denali on a clear day. From the comfort of your own little cabin, with the sound of mighty Moose Creek rushing through the property, experience true tranquility. Stay here on our Alaska's Prince William Sound to Denali Multi-Adventure Tour. After a cruise along the bike paths and beaches of Martha's Vineyard, pull your bike into the Hob Knob Luxury Boutique Hotel & Spa in historic Edgartown on the Vineyard. With a familiar comfort that makes you feel at home, but a charm and elegance that is quintessentially New England, it's the perfect spot to hang your helmet after a relaxed day biking the island's mellow terrain. It's a short walk down to the docks to watch the yachts come in and out, or just kick back on the Hob Knob's expansive porch in a rocking chair and watch the world go by. Stay here on our Martha's Vineyard & Nantucket Bike Tour. Standing resolutely in the very heart of Yosemite Valley, the Majestic Yosemite Hotel--formerly known as the Ahwahnee Hotel--is felt by many to be the grandest national park lodge of them all. Surrounded by the towering cliffs and waterfalls of Yosemite Valley, the rustic elegance of the Majestic Yosemite Hotel harkens to a bygone era of the American West. Gaze up from your window at the world-famous granite face of Half Dome, enjoy a meal in the magnificent dining hall, then take a moonlit stroll through the valley meadows frequented by foraging deer. Reservations to stay here are booked out well over a year in advance, which is why a guaranteed room with Backroads makes our Yosemite trips that much more enticing--as if you needed any more reasons to come explore this epic national park. 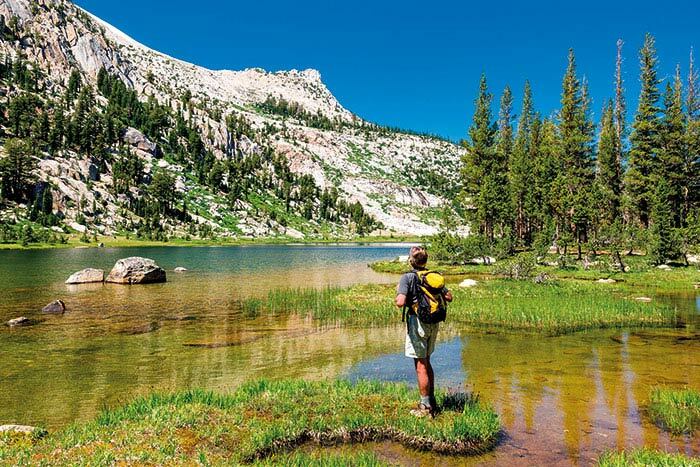 Stay here on our Yosemite Walking & Hiking Tour. Join the party at the United States' southernmost point at the Ocean Key Resort & Spa. Watch the sunset over the ocean from the pool or head out on the deck with a mojito in hand for the nightly celebration. After a week of making your way down the coastline on our Florida Multi-Adventure trip, the Ocean Key Resort & Spa puts you in the center of it all: Cuban-infused culture, yachts lulling in the distance, dolphins dancing on the waves and street performers putting on a show. Stay here on our Florida Keys Multi-Adventure Tour. What could beat a pristine, glacier-carved lake at your backdoor? How about a welcoming wine reception just beneath it? Dreams do become reality on our Glacier National Park tours. With Swiss-chalet inspired architecture, not one but three lakeside hotels--Many Glacier Hotel, Lake McDonald Lodge and Prince of Wales Hotel--let you soak in the sunrise over the mountains in the morning and bask in the alpenglow on the surrounding valley at dusk. 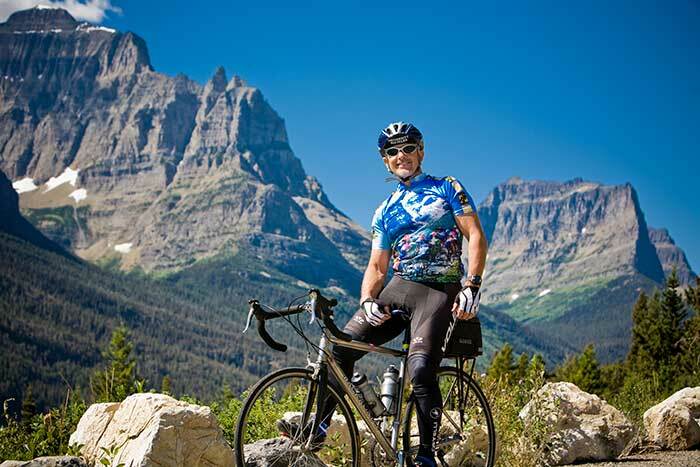 Stay here on our Glacier & Waterton Lakes Biking, Walking & Hiking and Family Multi-Adventure tours. If life were a citrus fruit, Casey would be a professional at squeezing every drop of goodness out of it. She loves how leading trips for Backroads makes that juice oh-so sweet. She’s led trips primarily in the US National Parks, including Bryce, Zion & Grand Canyon, Denali & Kenai Fjords in Alaska, Glacier in Montana, as well as biking trips in Tuscany and Martha’s Vineyard & Nantucket. Outside of Backroads, her eclectic travel experiences usually involve a bike tour or a farm and always include fantastic food. Casey’s recent undertakings include working on an artisan goat cheese farm in eastern Washington, doing a work/study program at an ashram in California and completing a bike tour from San Francisco to the Mexico border. This is an excellent blog premise. An international version of this blog would be something, indeed. I would note, however, that the last displayed photo is something of a cheat. The pictured hotel is the magnificent Prince of Wales which is, as the name suggests, in Canada, not the United States. But I’m sure readers enjoy the photo sufficiently to offset its inappropriateness in this context. Hello Ed! The international version is on its way, stay tuned! And yes, there was an unfortunate typo saying “hotels in the U.S.,” rather than “North America.” It’s been fixed! 🙂 Crossing the border to Canada to get to Waterton Lakes is one of the highlights of the trip! Since you’ve traveled with us so many times, what favorite hotels should we include on our list of favorite international hotels? I don’t envy the person trying to down-select for an international “must-stay” hotel list. That’ll be an awesome undertaking that, perhaps, should be divided by region. 1. Hotel Vila Bled, Slovenia. Italy-Slovenia trip. 2. Hilton Imperial Dubrovnik, Croatia. Croatia trip. 3. Hotel Taschenbergpalais Kempinski, Potsdam, Germany. Eastern Germany trip. Terrific suggestions! And you’re right, we may have to make it a regional list because there are just too many great hotels on all of our trips. Thanks for your suggestions, we’ll keep you posted when the new list is published!